I think that this problem is due to the differences between old and new OldGreggThemePlugin.inc files. Now my journal website is off. May you help me about this urgently? I don’t see any syntax related errors in the code. Can you confirm that you are using PHP 7.1+? How did you check you PHP version? I use return type declarations that was introduced in PHP7.1 and those errors are quite the same for cases, when PHP interpreter doesn’t support them. I am so sorry. First I looked here before. Whenever you unzip the file to the installation directory / plugins / generic / the plugins activation screen inside the OJS does not load. I can access the screen but keep searching the plugins and never open the relationship. When I exclude the folder it normalizes the loading. Do you have an access to the PHP error log? Do you see there any errors or fatal errors while trying to access plugins activation screen with unpacked JATS Parser? I have already installed this plugin, I am trying to use it and I can not find the way to do it in the production stage of the article. You could attach some images of how it works, to see where I should use it. In the galley I upload a doc to generate the XML JATS and then the HTML and PDF? It works just like Lens Viewer. Once JATS XML is published, the plugin starts to handle request for that page and displays it as HTML. The only thing that you can control from the settings - is what citations to show, from OJS or XML file. The plugin that converts DOCX to JATS is not ready yet. Vitaliy, thanks for your quick response! I thought that the OJS generated an XML JATS and from this it could generate an HTML and a PDF. According to what you tell me, is it necessary to upload the JATS XML file in the galleys to generate HTML and PDF? Yes. You need to upload JATS XML, moreover it should be compliant to what the plugin expects. Conversion of DOCX to JATS XML is a different case. There are several free tools available, but all of them are not perfect and require manual editing. Thank you so much for your answer and resolve my doubts. 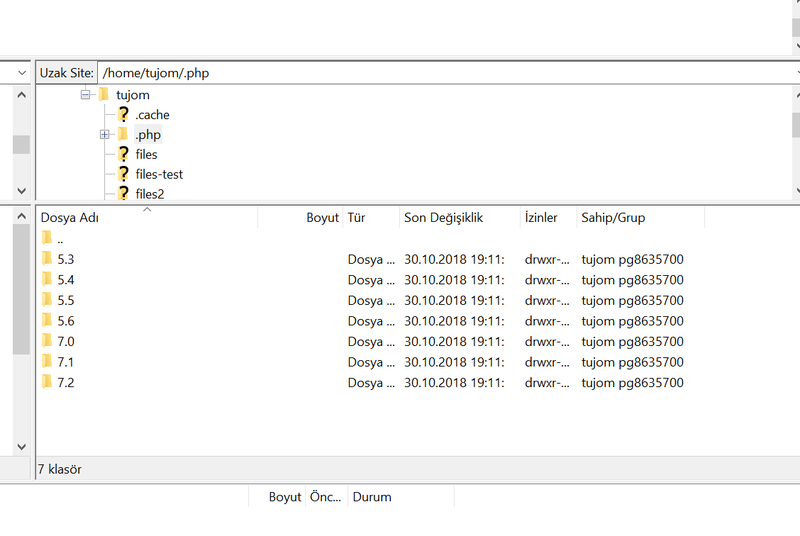 Hi @Vitaliy, I am trying to install your jatsParserPlugin to render HTML and PDFs from XML published galleys (using DOCX2JATS). However once installed, the Installed Plugins tab gets never ending loading. I’ve previously and successfully installed and activated OldGregg plugin theme and deactivated eLife Lens Article Viewer plugin. Where may I be failing with? > 1976 PHP message: PHP Warning:  Declaration of SubmissionKeywordEntryDAO::getByControlledVocabId($controlledVocabId, $rangeInfo = NULL) should be compatible w     ith ControlledVocabEntryDAO::getByControlledVocabId($controlledVocabId, $rangeInfo = NULL, $filter = NULL) in /home/forge/evidencia.ml/lib/pkp/classes/su     bmission/SubmissionKeywordEntryDAO.inc.php on line 20" while reading response header from upstream, client: 209.13.86.23, server: evidencia.ml, request:      "GET /index.php/evidencia/article/view/3 HTTP/1.1", upstream: "fastcgi://unix:/var/run/php/php7.2-fpm.sock:", host: "evidencia.ml", referrer: "http://evi     dencia.ml/index.php/evidencia/index"
> 1977 2019/02/14 17:27:03 [error] 6896#6896: *1988 FastCGI sent in stderr: "PHP message: PHP Deprecated:  The each() function is deprecated. This message will      be suppressed on further calls in /home/forge/evidencia.ml/lib/pkp/lib/adodb/adodb.inc.php on line 1003" while reading response header from upstream, cli     ent: 209.13.86.23, server: evidencia.ml, request: "GET /index.php/evidencia/management/settings/website HTTP/1.1", upstream: "fastcgi://unix:/var/run/php     /php7.2-fpm.sock:", host: "evidencia.ml", referrer: "http://evidencia.ml/index.php/evidencia/submissions"
> 1978 2019/02/14 17:27:04 [error] 6896#6896: *1988 FastCGI sent in stderr: "PHP message: PHP Deprecated:  The each() function is deprecated. This message will      be suppressed on further calls in /home/forge/evidencia.ml/lib/pkp/lib/adodb/adodb.inc.php on line 1003" while reading response header from upstream, cli     ent: 209.13.86.23, server: evidencia.ml, request: "GET /index.php/evidencia/$$$call$$$/page/page/user-nav-backend?_=1550165224621 HTTP/1.1", upstream: "f     astcgi://unix:/var/run/php/php7.2-fpm.sock:", host: "evidencia.ml", referrer: "http://evidencia.ml/index.php/evidencia/management/settings/website"
> 1987 2019/02/14 17:27:04 [error] 6896#6896: *1988 FastCGI sent in stderr: "PHP message: PHP Deprecated:  The each() function is deprecated. This message will      be suppressed on further calls in /home/forge/evidencia.ml/lib/pkp/lib/adodb/adodb.inc.php on line 1003" while reading response header from upstream, cli     ent: 209.13.86.23, server: evidencia.ml, request: "GET /index.php/evidencia/$$$call$$$/page/page/tasks?_=1550165224623 HTTP/1.1", upstream: "fastcgi://un     ix:/var/run/php/php7.2-fpm.sock:", host: "evidencia.ml", referrer: "http://evidencia.ml/index.php/evidencia/management/settings/website"
> 1988 2019/02/14 17:27:04 [error] 6896#6896: *1988 FastCGI sent in stderr: "PHP message: PHP Deprecated:  The each() function is deprecated. This message will      be suppressed on further calls in /home/forge/evidencia.ml/lib/pkp/lib/adodb/adodb.inc.php on line 1003" while reading response header from upstream, cli     ent: 209.13.86.23, server: evidencia.ml, request: "GET /index.php/evidencia/$$$call$$$/grid/notifications/task-notifications-grid/fetch-grid?_=1550165224     624 HTTP/1.1", upstream: "fastcgi://unix:/var/run/php/php7.2-fpm.sock:", host: "evidencia.ml", referrer: "http://evidencia.ml/index.php/evidencia/managem     ent/settings/website"
> 1989 2019/02/14 17:27:05 [error] 6896#6896: *1996 FastCGI sent in stderr: "PHP message: PHP Deprecated:  The each() function is deprecated. This message will      be suppressed on further calls in /home/forge/evidencia.ml/lib/pkp/lib/adodb/adodb.inc.php on line 1003" while reading response header from upstream, cli     ent: 209.13.86.23, server: evidencia.ml, request: "POST /index.php/evidencia/notification/fetchNotification HTTP/1.1", upstream: "fastcgi://unix:/var/run     /php/php7.2-fpm.sock:", host: "evidencia.ml", referrer: "http://evidencia.ml/index.php/evidencia/management/settings/website"
> 1991 PHP message: PHP Warning:  Declaration of BlockPluginsListbuilderHandler::initialize($request) should be compatible with MultipleListsListbuilderHandler:     :initialize($request, $args = NULL) in /home/forge/evidencia.ml/lib/pkp/controllers/listbuilder/settings/BlockPluginsListbuilderHandler.inc.php on line 1     7" while reading response header from upstream, client: 209.13.86.23, server: evidencia.ml, request: "GET /index.php/evidencia/$$$call$$$/listbuilder/set     tings/block-plugins-listbuilder/fetch?_=1550165224625 HTTP/1.1", upstream: "fastcgi://unix:/var/run/php/php7.2-fpm.sock:", host: "evidencia.ml", referrer     : "http://evidencia.ml/index.php/evidencia/management/settings/website"
> 1992 2019/02/14 17:27:14 [error] 6896#6896: *1996 FastCGI sent in stderr: "PHP message: PHP Deprecated:  The each() function is deprecated. This message will      be suppressed on further calls in /home/forge/evidencia.ml/lib/pkp/lib/adodb/adodb.inc.php on line 1003" while reading response header from upstream, cli     ent: 209.13.86.23, server: evidencia.ml, request: "GET /index.php/evidencia/$$$call$$$/tab/settings/website-settings-tab/show-tab?tab=plugins&_=155016522     4626 HTTP/1.1", upstream: "fastcgi://unix:/var/run/php/php7.2-fpm.sock:", host: "evidencia.ml", referrer: "http://evidencia.ml/index.php/evidencia/manage     ment/settings/website"
> 2001 2019/02/14 17:27:14 [error] 6896#6896: *1988 FastCGI sent in stderr: "PHP message: PHP Deprecated:  The each() function is deprecated. This message will      be suppressed on further calls in /home/forge/evidencia.ml/lib/pkp/lib/adodb/adodb.inc.php on line 1003" while reading response header from upstream, cli     ent: 209.13.86.23, server: evidencia.ml, request: "GET /index.php/evidencia/$$$call$$$/grid/plugins/plugin-gallery-grid/fetch-grid?_=1550165224628 HTTP/1     .1", upstream: "fastcgi://unix:/var/run/php/php7.2-fpm.sock:", host: "evidencia.ml", referrer: "http://evidencia.ml/index.php/evidencia/management/settin     gs/website"
This error seems to be truncated. Most probable reason is a conflict between identical classes from Old Gregg theme and JATS Parser plugin. Can you completely delete Old Gregg theme from the OJS instance? Hi @Vitaliy, thanks for your help. As you suggested I’ve completely deleted oldGregg theme from my OJS instance (jatsParser plugin still installed) but Plugin tab never ending loading behaviour is still happening. > 2019/02/21 08:14:43 [error] 6896#6896: *4757 FastCGI sent in stderr: "PHP message: PHP Deprecated:  The each() function is deprecated. This message will be suppressed on further calls in /home/forge/evidencia.ml/lib/pkp/lib/adodb/adodb.inc.php on line 1003" while reading response header from upstream, client: 66.249.70.19, server: evidencia.ml, request: "GET / HTTP/1.1", upstream: "fastcgi://unix:/var/run/php/php7.2-fpm.sock:", host: "evidencia.ml"
> 2019/02/21 08:14:44 [error] 6896#6896: *4757 FastCGI sent in stderr: "PHP message: PHP Deprecated:  The each() function is deprecated. This message will be suppressed on further calls in /home/forge/evidencia.ml/lib/pkp/lib/adodb/adodb.inc.php on line 1003" while reading response header from upstream, client: 66.249.70.19, server: evidencia.ml, request: "GET /index.php/evidencia HTTP/1.1", upstream: "fastcgi://unix:/var/run/php/php7.2-fpm.sock:", host: "evidencia.ml"
> #5 /home/forge/evidencia.ml/lib/pkp/classes/core/PKPRouter.inc.php(390): IndexHandler->index(Array" while reading upstream, client: 66.249.70.19, server: evidencia.ml, request: "GET /index.php/evidencia HTTP/1.1", upstream: "fastcgi://unix:/var/run/php/php7.2-fpm.sock:", host: "evidencia.ml"
> PHP message: PHP Warning:  Declaration of SubmissionKeywordEntryDAO::getByControlledVocabId($controlledVocabId, $rangeInfo = NULL) should be compatible with ControlledVocabEntryDAO::getByControlledVocabId($controlledVocabId, $rangeInfo = NULL, $filter = NULL) in /home/forge/evidencia.ml/lib/pkp/classes/submission/SubmissionKeywordEntryDAO.inc.php on line 20" while reading response header from upstream, client: 66.249.70.17, server: evidencia.ml, request: "GET /index.php/evidencia/article/view/3 HTTP/1.1", upstream: "fastcgi://unix:/var/run/php/php7.2-fpm.sock:", host: "evidencia.ml"
> 2019/02/21 08:35:06 [error] 6896#6896: *4760 FastCGI sent in stderr: "PHP message: PHP Warning:  Smarty error: unable to read resource: &quot;frontend/objects/articleOnlyAbstract.tpl&quot; in /home/forge/evidencia.ml/lib/pkp/lib/vendor/smarty/smarty/libs/Smarty.class.php on line 1094" while reading upstream, client: 66.249.70.17, server: evidencia.ml, request: "GET /index.php/evidencia/article/view/3 HTTP/1.1", upstream: "fastcgi://unix:/var/run/php/php7.2-fpm.sock:", host: "evidencia.ml"
> 2019/02/21 09:33:24 [error] 6896#6896: *4763 FastCGI sent in stderr: "PHP message: PHP Deprecated:  The each() function is deprecated. This message will be suppressed on further calls in /home/forge/evidencia.ml/lib/pkp/lib/adodb/adodb.inc.php on line 1003" while reading response header from upstream, client: 66.249.70.19, server: evidencia.ml, request: "GET /index.php/index/login?source=http%3A%2F%2Fevidencia.ml%2Findex.php%2Findex%2Fuser%2Fprofile%2Froles HTTP/1.1", upstream: "fastcgi://unix:/var/run/php/php7.2-fpm.sock:", host: "evidencia.ml"
This errors indicates that on the journal index page you have an error in the calling to the getBestArticleId() method. But I don’t see here nothing related to the plugins tab. Can you check the error log just after trying to access that tab? > 2019/02/27 16:07:42 [error] 6896#6896: *10784 FastCGI sent in stderr: "PHP message: PHP Deprecated:  The each() function is deprecated. This message will be suppressed on further calls in /home/forge/evidencia.ml/lib/pkp/lib/adodb/adodb.inc.php on line 1003" while reading response header from upstream, client: 209.13.86.23, server: evidencia.ml, request: "GET /index.php/evidencia/$$$call$$$/tab/settings/website-settings-tab/show-tab?tab=plugins&_=1551280832912 HTTP/1.1", upstream: "fastcgi://unix:/var/run/php/php7.2-fpm.sock:", host: "evidencia.ml", referrer: "http://evidencia.ml/index.php/evidencia/management/settings/website"
> 2019/02/27 16:07:43 [error] 6896#6896: *10781 FastCGI sent in stderr: "PHP message: PHP Deprecated:  The each() function is deprecated. This message will be suppressed on further calls in /home/forge/evidencia.ml/lib/pkp/lib/adodb/adodb.inc.php on line 1003" while reading response header from upstream, client: 209.13.86.23, server: evidencia.ml, request: "GET /index.php/evidencia/$$$call$$$/grid/plugins/plugin-gallery-grid/fetch-grid?_=1551280832914 HTTP/1.1", upstream: "fastcgi://unix:/var/run/php/php7.2-fpm.sock:", host: "evidencia.ml", referrer: "http://evidencia.ml/index.php/evidencia/management/settings/website"
This error message seems to be truncated. Can you show me it in full version?